Congratulations! You've stepped up from your campus wardrobe. You're showing up every morning looking like a professional member of your new team. That said, you have a gap to fill. You have barely enough shirts to make it through the week without doing laundry. Or those shirts you bought when you started a year ago are looking a bit ragged. But who wants to waste time shopping for clothes? You want a fast, efficient way to find your best value in minutes, not hours in the store trying things on. 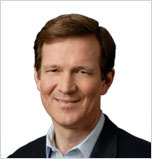 Brands keep critical information about fit locked inside their stores. To access this information, we waste time traveling to stores and trying things on. Most guys lose patience after half an hour and end up settling for something that's just "okay." To avoid this hassle the next time, most men find a brand that works for them and stick with it, even if it’s not the best out there.. Sticking with a single brand may simplify shopping, but it means missing out on other brands that offer better value. You realize that many brands have similar products, and you're looking for the best value. You deserve transparency when it comes to sizing. To avoid overload, you want to focus on items that are relevant to you. 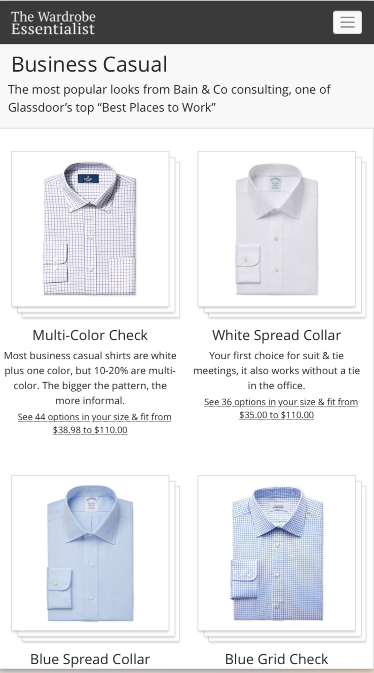 We've built a platform that tears down the walls and connects you with your best dress shirt options across multiple brands. A platform that filters out irrelevant items and gives you the information you need to find your best value online in minutes. A service that searches the whole marketplace in an instant, and returns with your personalized selection. Items that fit the way you want, and look the way you want. Choices from multiple brands, all in one place. No styling fees, subscriptions, or markups. You could finish your shopping in less than 5 minutes, confident that you're getting the best value. Ten times faster than a trip to the store. Before you started reading this, we "tried on" 75,000 dress shirts from 17 brands. We did this by classifying each item based on its actual measurements. We gathered data from brands on the actual dimensions of each size (i.e. 16 X 35) and model (i.e. Tailored Fit) offered. We’ve spared you the unnecessary pain of trying on all those options. To find your best options, we need just a minute of your time. 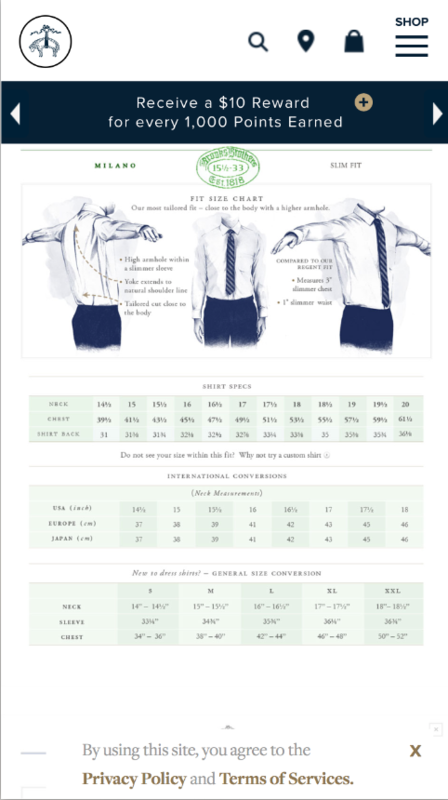 On our site you share four key measurements: height, weight, collar size, and jacket size. We build an assortment of items that fit the way you want. What if I don't know my collar and jacket size? Turns out that guys have different personal preferences when it comes to fit. Some want a super-stylish fit that's very close to the body. Others want a more comfortable fit with more room for movement. Once you've entered your measurements, we make it easy to pick your fit preference. BTW, you can also change this setting whenever you want. After 60 seconds, you're ready to check out the top 1% of items that will fit the way you want. Here's the challenge: for the average user, that's hundreds of items. You don't want to scroll through hundreds of images, so we've built better way. When you were scrambling to get ready for your first week on the job, you might have Googled "what shirts should I buy?" You might have learned that there are some classic styles that work well in most business settings. Depending on the fashion norms of your office, you might also have added light pink or purple, or multi-color checks. 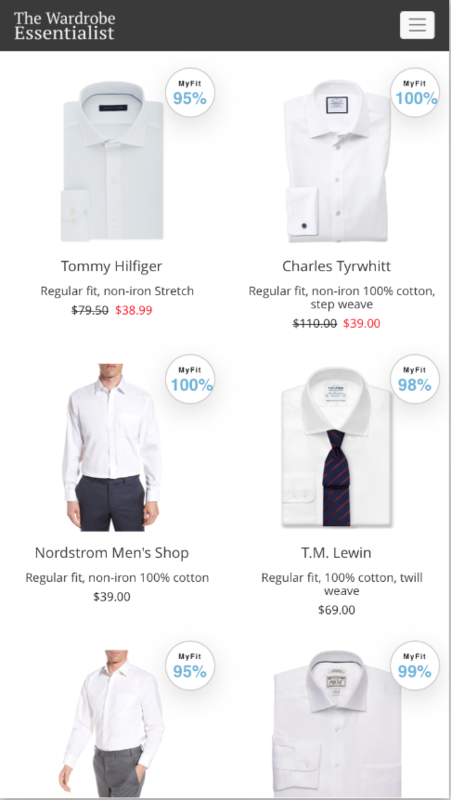 Here's the point: there's a huge amount of commonality in men's dress shirts. A small number of "greatest hits" styles cover the majority of what guys wear in Business Casual and Suit & Tie offices. We’re not saying whether this is good or bad: it is what it is. For guys who are shopping for these "greatest hits," we want to make the process as easy as possible. With that in mind, we classified all 75,000 items by size, collar, pattern, and color, and then group them by classic style. We show you all options for a "greatest hits" style at once. You've narrowed it down to the style and fit you want. 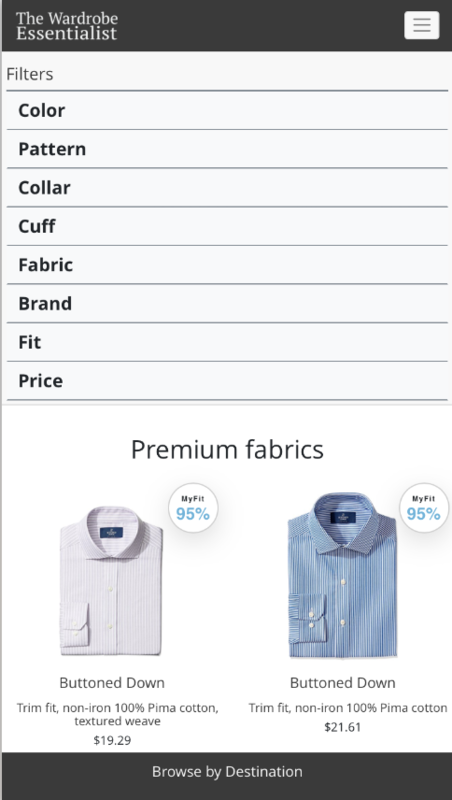 Each item shows the exact list/sale prices you'd find on the brand's website. (That's assuming you had the stamina to slog through them all.) Each item also shows a personalized FitScore on a scale of 0-100, like Rotten Tomatoes. 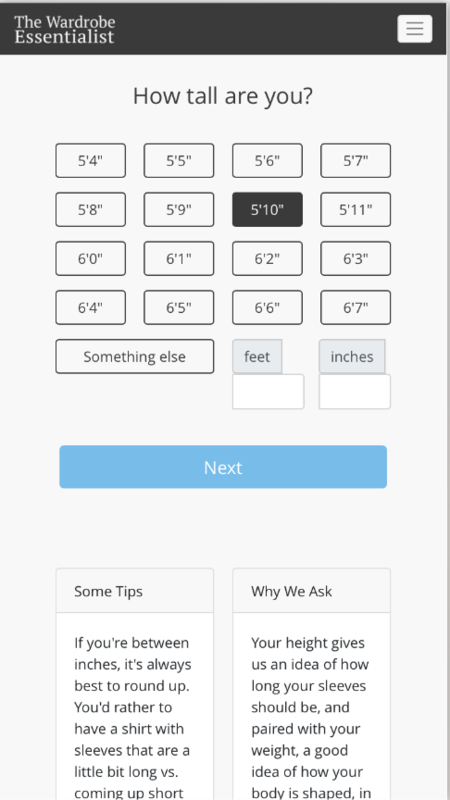 This tells you how well it will fit the specific measurements you shared up front in your profile. 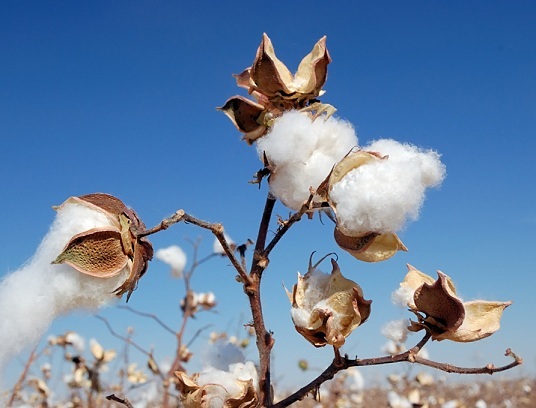 Over 90% of the shirts in our marketplace are 100% cotton, but not all cotton is created equal. A small percent of cotton plants (gossypium barbadense for botany nerds) yield extra-long fibers. These fibers produce fabrics that are silkier, more breathable, and longer lasting. Shirts made with Egyptian, Pima, and Sea Island cotton usually command premium pricing, but sometimes you can find them on sale. More comfortable + longer-lasting + low price = great value. Which option is best? It's really a personal choice, but you can choose with confidence, you're making a well-informed decision. And getting there ten times faster than a trip to the store. Over the last 90 days, the average user has taken one minute to complete his size profile. Guys found an item they were ready to check out after about two minutes of browsing. We don't want to over-promise, so we bumped the total to 5 minutes. How long will it take you? Give it a free try at my.wardrobeessentialist.com. Rather stay anonymous? Don’t worry, you can see everything in "Guest Mode." How do you know the actual sizing of each shirt? Top brands maintain consistent sizing because it's key to customer loyalty. Here's why. Most men hate shopping, so when we find something that works, we're happy to stop searching. The next time we're in the marketplace, we're likely to keep going back to the brand that worked the last time. 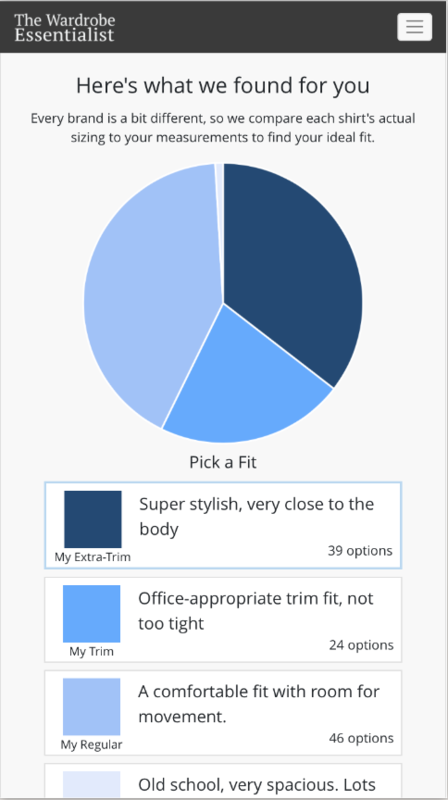 We did a survey of men working in Business Casual or Suit & Tie offices. We found that 85% of guys can name only one dress shirt brand that fits them well. Every time that brand fiddles with sizing, it risks alienating its loyal customers. If you dig deep into most brands’ websites, you will find a page that lists their detailed sizing specs. Feel free to check our math! How do you use shirt measurements to find my best fit? We start with your measurements and search for a shirt with measurements that best fit your needs. It's a bit more complicated than simply matching the measurements. If a garment matched your exact body measurements, it would be skin tight. That might work for spandex, but not for the cotton fabrics used to make dress shirts. To give you room to breathe and move, designers add extra fabric. The amount of extra fabric depends on the kind of fit you want. If you've got a ripped physique you want to show off, your tailor might add 3" of fabric to give you a bit of room for movement. If you value comfort over extra-trim styling, he might add 5". We use a similar approach to find your best off-the-rack shirt. We start by finding shirts that match your collar size and sleeve length. We then search for just the right amount of extra fabric to deliver the fit you want through your chest and stomach. Every brand is a bit different, so ignore the words they use and focus on each shirt's actual sizing. 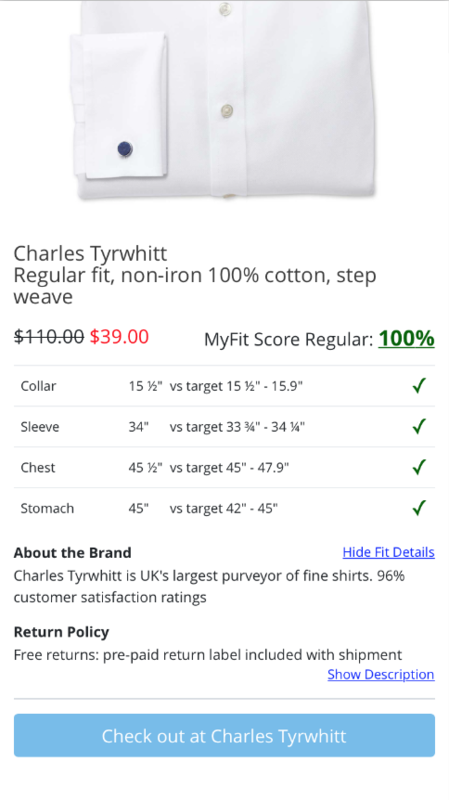 When we finding something that's close but not spot on, we deduct points from the shirt's FitScore rating. If you're interested, there's a section of the item detail page where we explain all the math. Why bother having more than one brand that fits? When you shop with only one brand, you're at the mercy of whatever that brand has to offer when you're ready to buy. You run the risk of missing out on alternatives that look better, fit better, and deliver better value. Are you willing to invest a minute to find out what you're missing? When brands compete, you win. Now that we've built a robust selection of shirts, we're working on other categories. What would you like us to add next?